Ballroom Dance Classes | The Joneses Studio | SIGN UP TODAY! Are you a fan of BBC’s “Strictly Come Dancing”? Do you want to learn to Ballroom dance? If so, you have come to the right place! Join one of our Ballroom dance classes! From beginners to top international competitors, we will help you learn and perfect your favourite Ballroom & Latin dances like the Cha Cha Cha, Jive, Waltz, Tango and Quickstep. All students will have the opportunity, if they wish, to undertake medal examinations, compete in regional and national competitions as well as perform in studio showcases and other events. For any further information on our Ballroom dance classes, please contact The Joneses’ Studio on 07951346897 or dance@thejonesesstudio.com. Beginner Course – March 26th, May 6th. Don’t miss our next Social Party on Friday March 22nd from 19:30-21:30! Beginner Latin & Ballroom – A 6 week course covering the basic figures in some of the most popular Latin & Ballroom dances. Contact to enrol – no partner necessary! 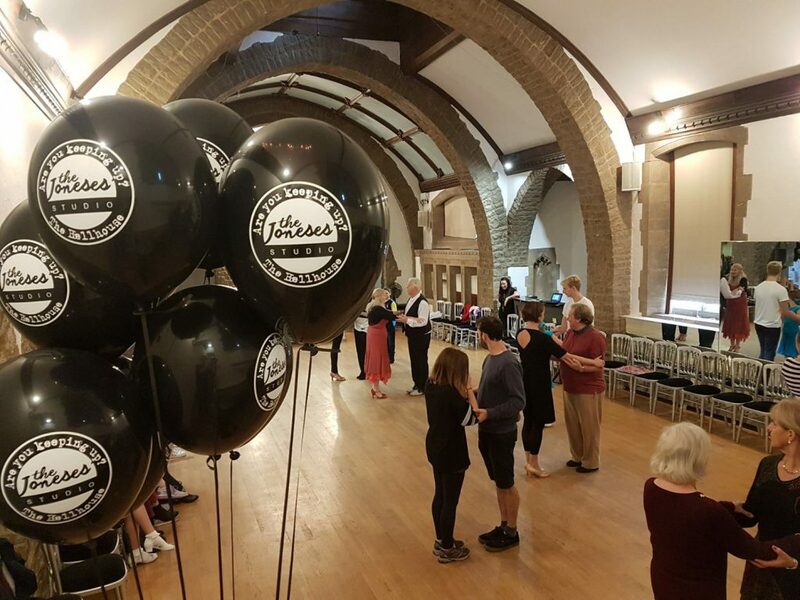 Foundation Latin & Ballroom – Following right on from the Beginner Latin & Ballroom course, this 8 week course continues to build on what you’ve learnt and starts to introduce you to some new dances. Intermediate Latin & Ballroom – Got some Ballroom dance experience? This is the class for you! Advanced Latin & Ballroom – For the seasoned Ballroom dancers – learn open choreography and develop your dancing and performance skills to the highest level. Swing, Smooth & Salsa – Learn the American styles and alternative dances like Bolero, Mambo and Salsa. Competitor’s Workshop & Practice – Ballroom dance workshops designed for competitors covering different topics each month followed by supervised practice. Freestyle Classes – A high energy dance style that combines elements of Jazz and Contemporary. Conditioning Class – A class designed to strengthen dancers and increase stamina. © 2017 The Joneses Studio. All rights reserved.